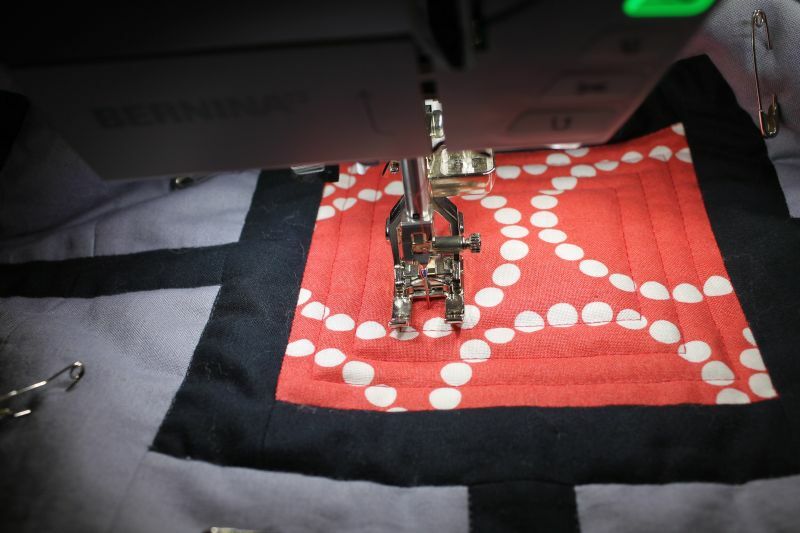 I thought I would post another machine quilting update in between the “official” String of Pearls quilt along posts. You can see last week’s machine quilting tute here. 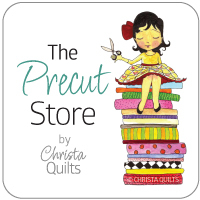 I will demo how to quilt the negative space with swirls and pearls quilting next week, using FMQ! 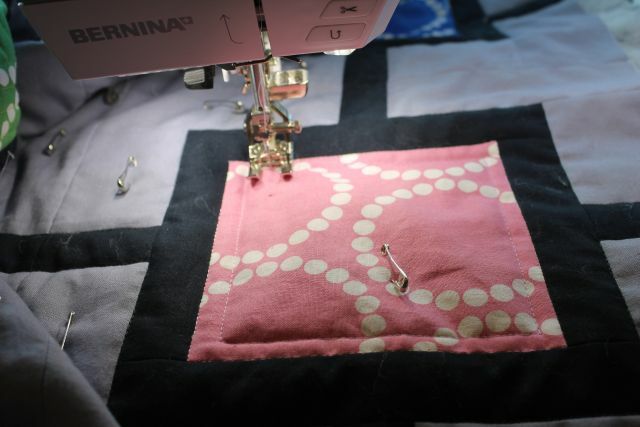 I will go more in-depth explaining how I quilted the square spirals in my pearl blocks. Quick tips – match your threads to your fabric so they blend. 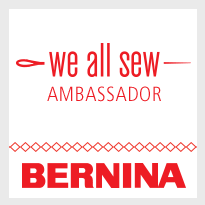 Use a new needle when starting your machine quilting. Don’t stress about it being perfect and for heaven’s sake, don’t try to make them all the exact same width, LOL! First, stitch in the ditch around the inside of the block in a matching thread color (I used Aurifil 50 wt cotton thread for most of the colored quilting – love it!). 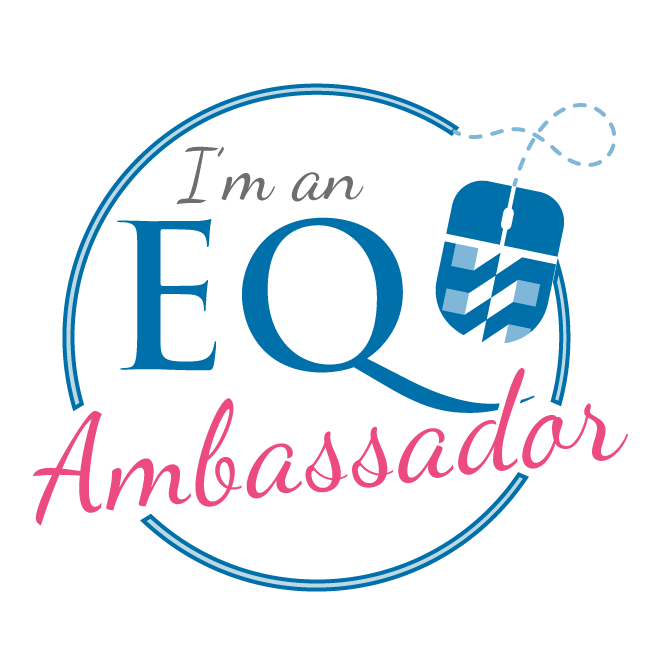 I used a walking foot/even feed for all of the straight quilting and rotated my quilt each time I turned a corner. However, you could use a free motion foot instead to avoid the turning. Just for fun, make a few of them wonky! Remember this is your quilt – make it your own. Isn’t the back starting to look fun? 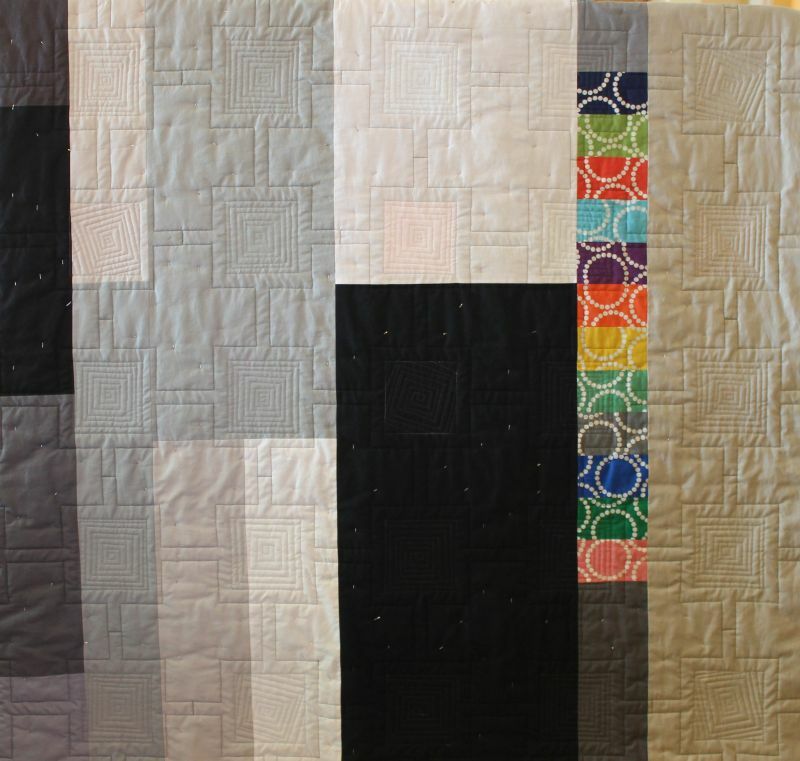 Here is Connie M’s gorgeous finished quilt. Can we say teacher’s pet? Three cheers for quilting it herself!! Large Spiral Quilting by Connie (carrotcat8 on flickr). Your quilt looks great! I just ordered mine – Tuesday! i can’t wait for my kit to get here!!!! Great post with lots of detailed photos. I’ll definitely be trying this design myself at some point. Thank you! 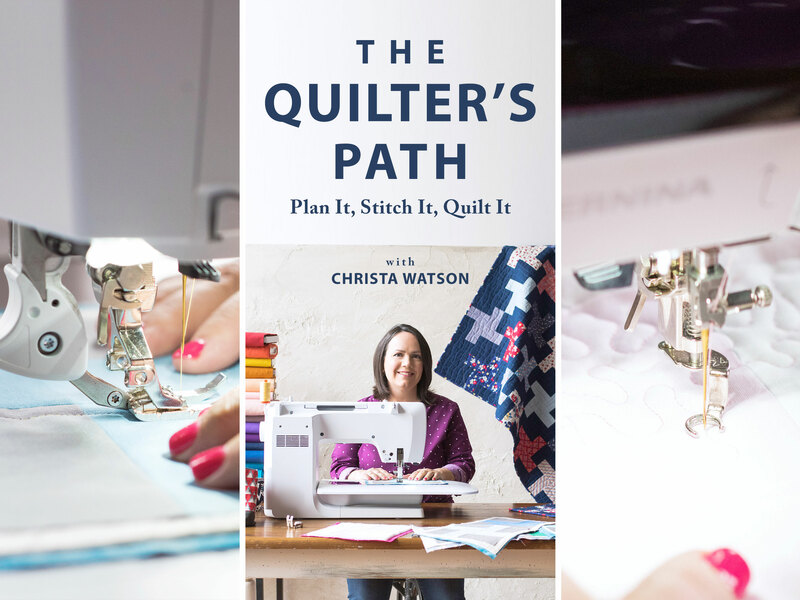 Your quilting techniques are great on both quilts! Nice job! Love the wonky squared spirals….perfect! Also, the idea of doing the blocks differently is energizing! 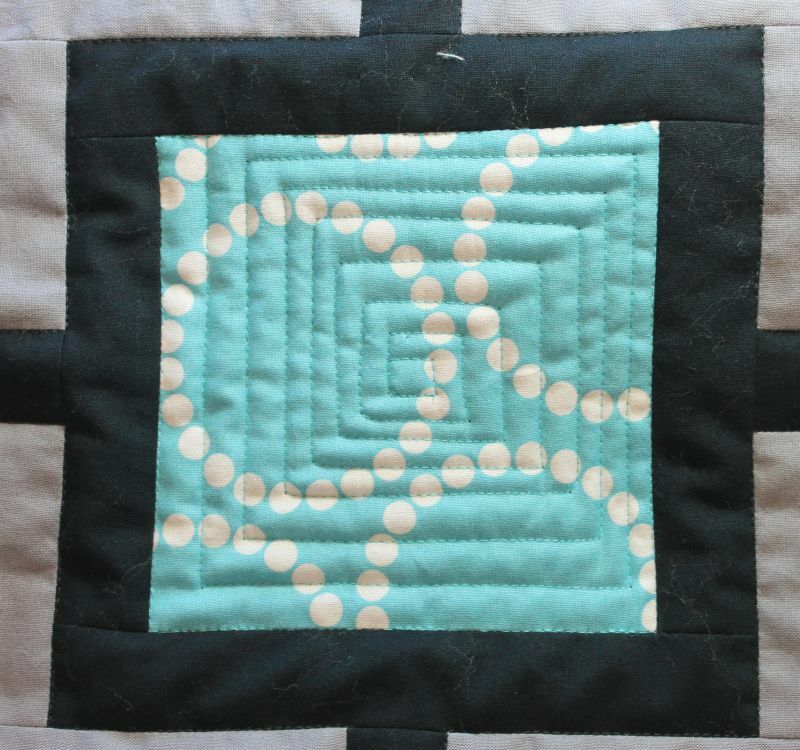 Connie’s finish is wonderful…..the background circles are the perfect contrast to the blocks. There are so many options (always) and I’ll be looking forward to seeing the one(s) you chose! Hugs…….. 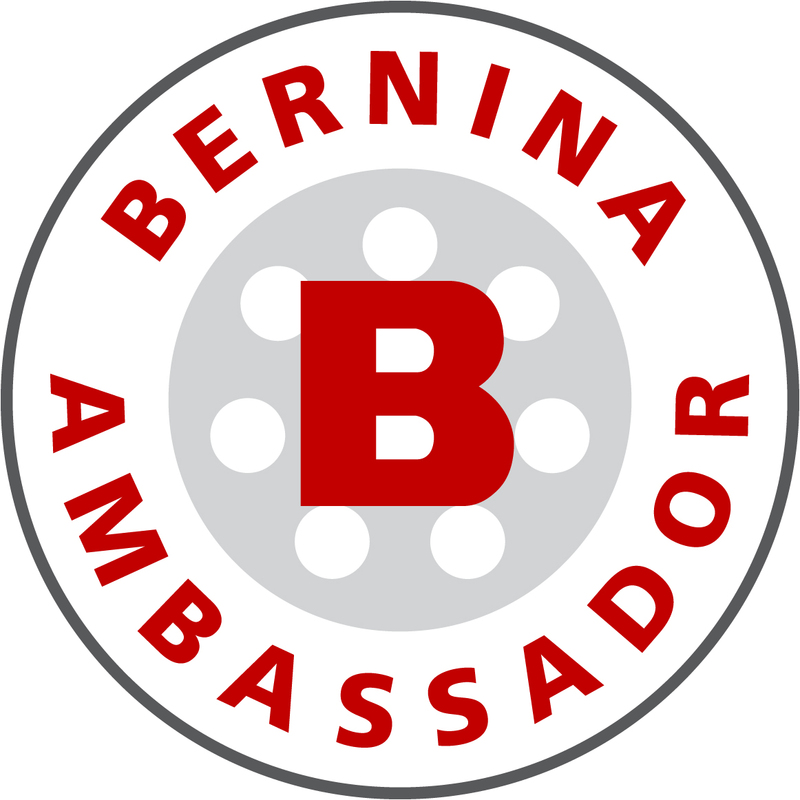 I just found your blog, and I just love it! Can you please tell me how the circles were stitched? 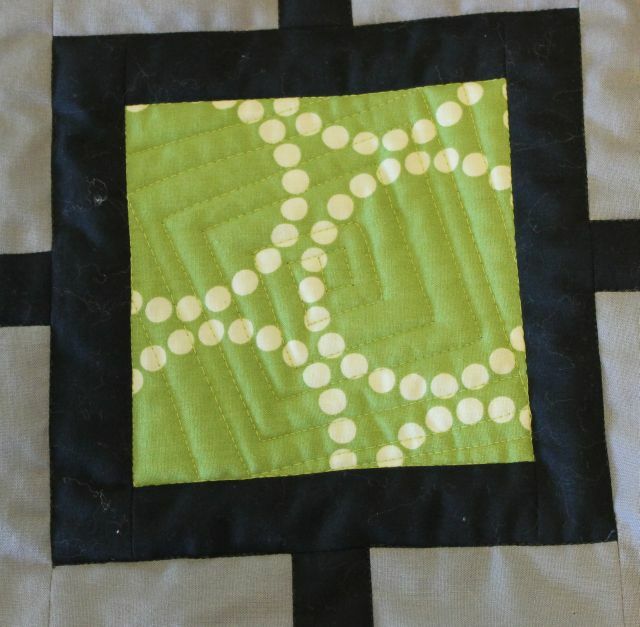 I have done straight line quilting–but the circles are new to me.thanks for your help. I think she just started in the center of one of the blocks and kept on going. 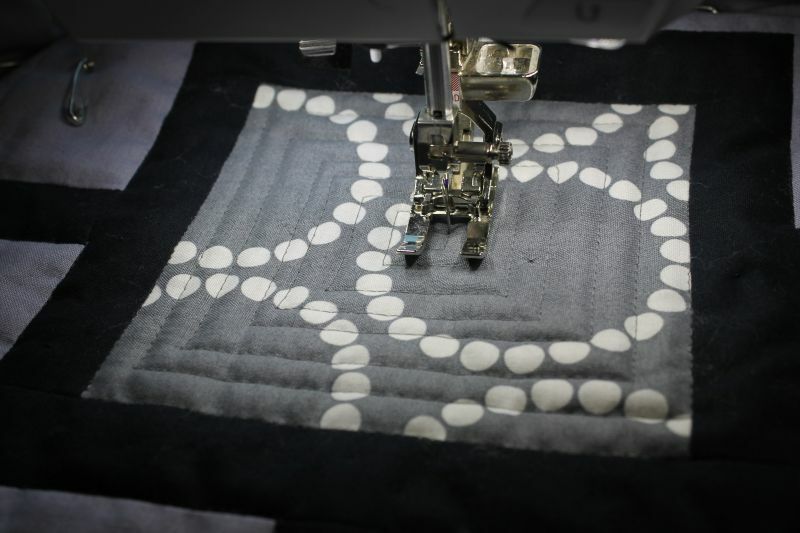 You could fmq it or use a walking foot and turn the quilt slowly as you go. 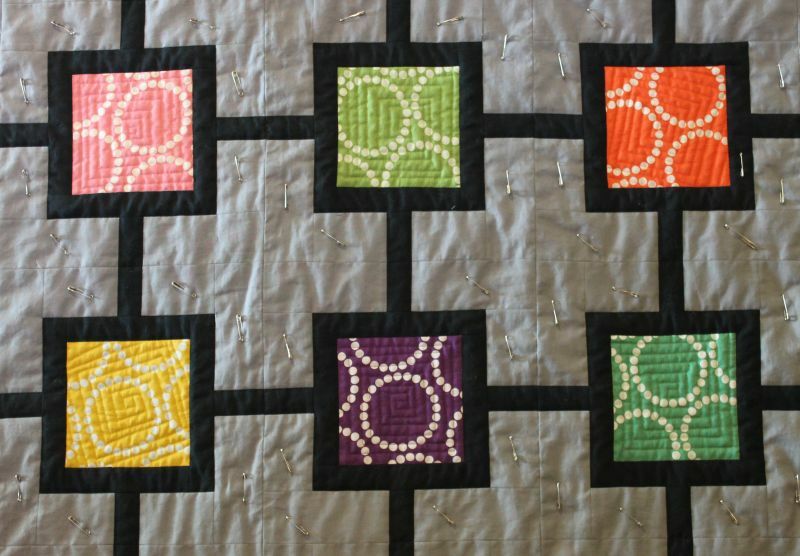 That large spiral quilting looks fab! Your does too but I can not imagine all that turning around. So much fun! I don’t think one is better then the other. Both look great – I especially though like the back view. Very nice touch to change the thread colors for the center blocks. Only by enlarging can you see the different colored thread, I imagine it adds to the interesting look of the project! Yay! 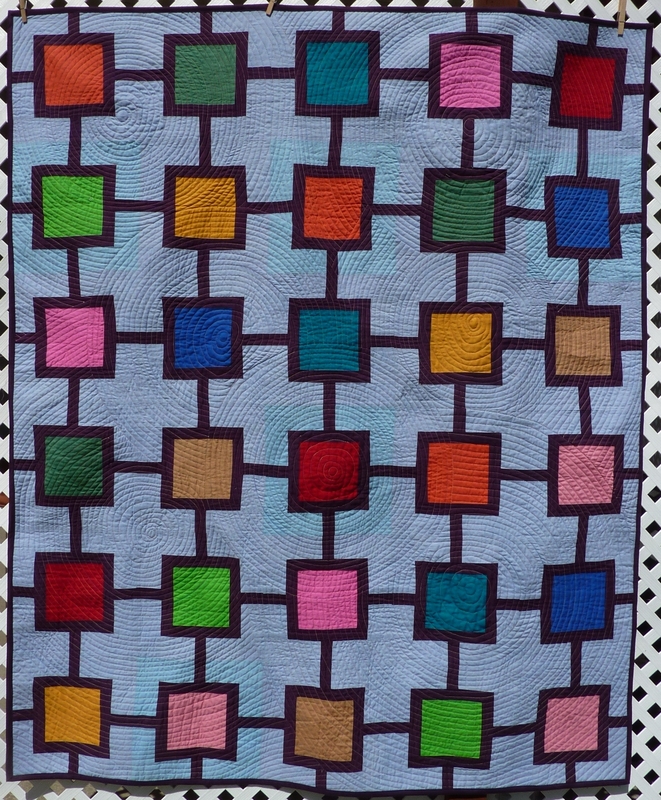 I like the way that each square in Connie’s quilt took on a different look as the natural result of her carrying out her larger quilting pattern.